Separate all zip codes, SCFs and/or counties using a comma. List in order of preference. If quantity is 500-999, add $50 flat set up fee. If under 500, add $100 set up. Does not include shipping/handling or tax for TX orders. Cost per thousand and final cost are subject to change. 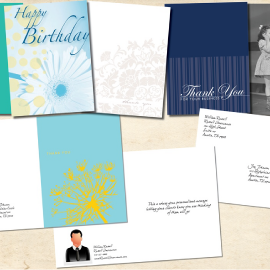 Note: We will contact you for card information. Want our recommendations or to have us run your count? Give us a call (800) 723-5254 or send an email to info@targetleads.com and we are happy to help! I've used several online lead management systems over the years and TL Lead Manager is by far THE BEST, bar none. My search is over. The integration of useful tools and how user friendly the system is to use, is leaps and bounds above the rest. Navigation is seemless. This is an all-in-one system that makes the tedious and dreadful task of prospecting much easier and pleasurable. But the golden nugget comes by way of your friendly service. I wish I could tell every agent, that's looking for only the best lead management system, about TL Lead Manager. I know they will be just as impressed as I am. TL Lead Manager is "no ka oi" (the best). I have already noticed a massive difference with your leads over the ones I used to use. The quicker response time has already allowed me to schedule 2 appointments with 4 sales out of the 6 leads I have gotten. As long as this track continues then you will have earned a life long customer. I was compelled to email you regarding the effectiveness of your direct mail campaign and the outstanding computer software that supports the mail effort. The ease of operation, the format and the sequence by which data can be accessed is incredible. I am not a computer person but this program is extremely user friendly. Lastly, I would like to thank you for your help, commitment and efforts in helping me toward success in my business. I've used TargetLeads for my long term care insurance leads for a few years now and the entire program has exceeded all of my expectations. This group has always been great at suggestions ways to improve my business from tips related to mailings to how I can further utilize TL LeadManager. They truly understand the concept of when I win, they win. I highly recommend their products/services. TargetLeads is one of our top solid lead vendors who also deliver the results based on their lead expertise and incredible lead systems. In my professional experience, TargetLeads are the experts in direct mail marketing. The icing on the cake comes with their exceptional customer service that is permeated by everyone at the office. Scan and Ship: All leads will be scanned as a pdf and available within your account login as a single file. The hard copies are then shipped, once a week, to the address you provide. 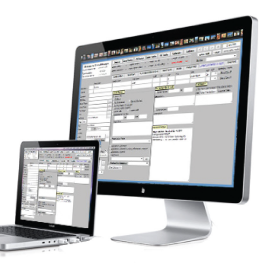 TL LeadManager®: All leads will be scanned, uploaded and data entered directly into our contact management software for your immediate access. TLLM can be used to view lead cards, data, search, set follow-ups and more. Hard copies of lead responses are stored by TargetLeads and will not be shipped to you. Both: Utilize both services for a fee of $20 per thousand pieces mailed.